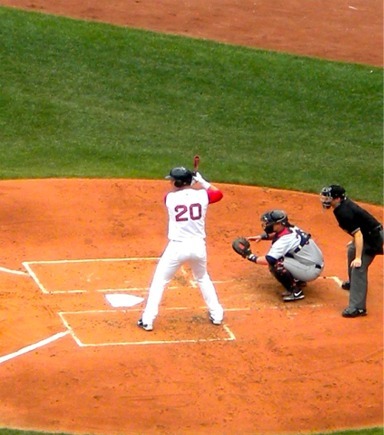 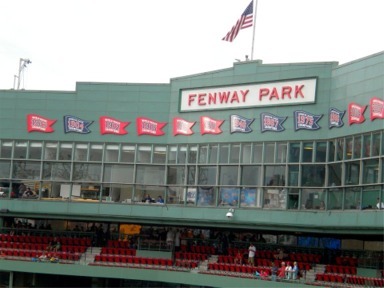 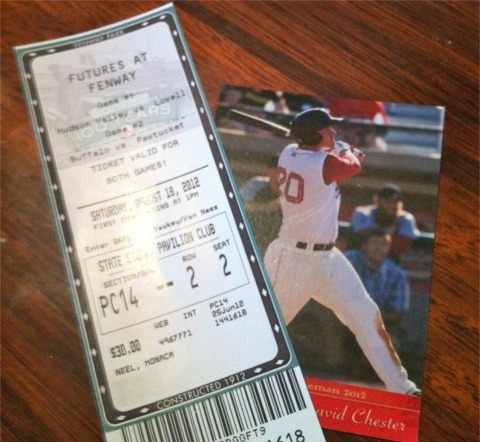 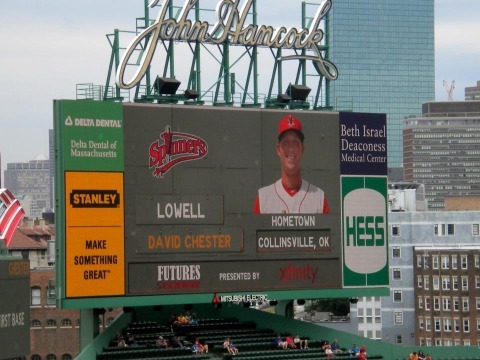 Proud Sister (Dalania -- CHS 2004) posted the photos (below) on her Facebook page following the Chester family trip to Boston to witness David's appearance at Fenway Park in the "Futures" game last August (2012). 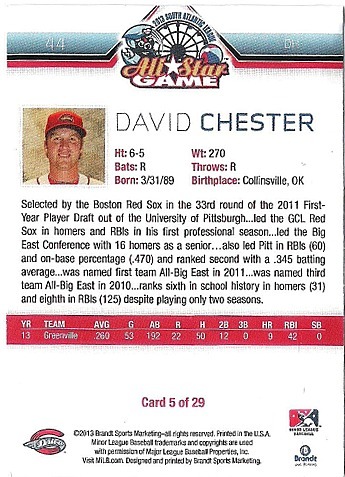 Younger Sister (Darci) will be a freshman member of the 2013 CHS Softball team. 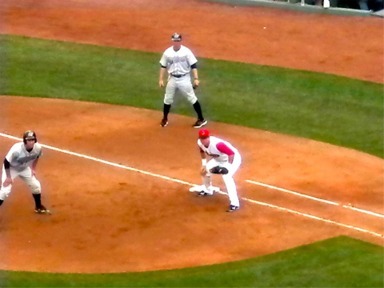 David Chester holding a runner on at first base at Fenway Park during the "Futures at Fenway" game August 18, 2012 in photos by Dalania Chester.